After its launch eight years ago, Instagram became the 6th most popular social media site in the world today, having more than 800 million monthly active users. This draws a spawning number of eCommerce businesses to include Instagram as an advertising channel. If you want to advertise on Instagram but don’t know exactly where to start, this beginner’s guide highlights the reasons why Instagram is one of the widely popular advertising platforms and how your online store can benefit from it. By the end of this guide, you’ll feel confident on how to advertise on Instagram, promote your online shop, engage with your target audience, and drive them to your eCommerce store. 40% of social media marketers worldwide believe that Instagram produces the third-best advertising ROI compared to other social media platforms out there. There are more than 2 million+ advertisers using Instagram to promote their businesses. Plus, advertising on Instagram also ranks as the world’s 4th highest conversion rate social media channels. 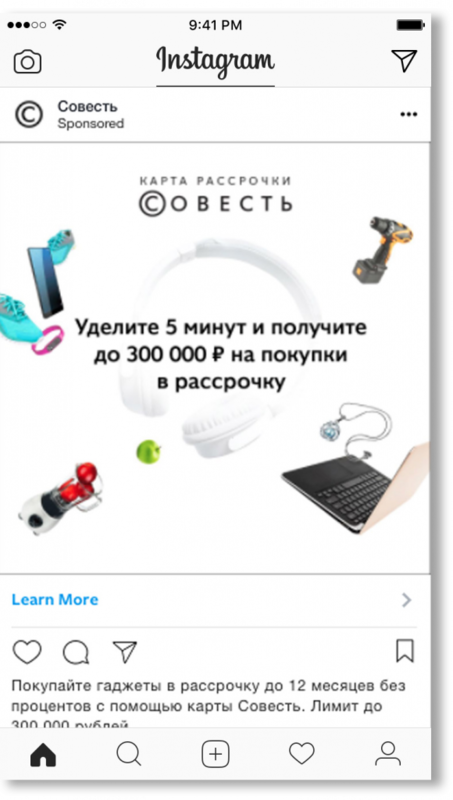 Similar to a normal post, your ad will appear as a single picture. Photo ads allow eCommerce stores to communicate with their target audience in a visual format. For example, Sovest, a new Russian innovative financing system targeted men and women in Russia aged between 21-45. The Instagram ad featured some of the available products and retailers for customers and how shoppers can use the card to save. This single photo ad acquired 15% of their new customers. If you want to learn more about Photo Ads, visit the official ad guidelines and recommendations when using photos. If you want to say more than what photo ads can cover, then video ads will help you share a video ad up to 60 seconds long. 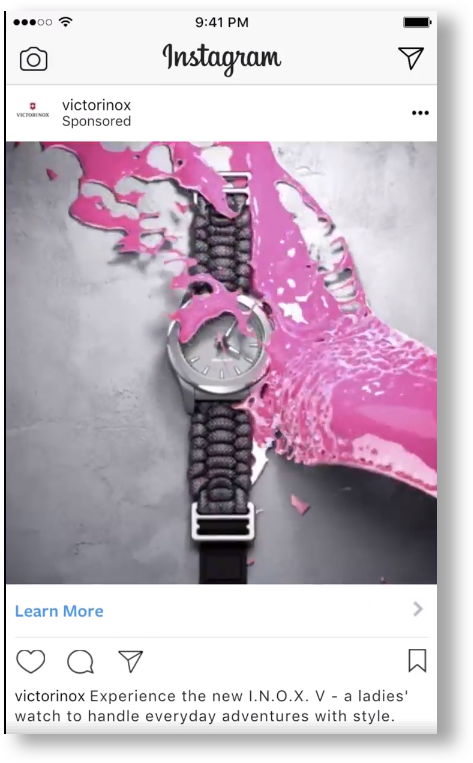 A good example is how Victorinox promoted its I.N.O.X V watches using an Instagram video ad targeted to showcase the watches’ beautiful design. This video ad was a success with more than 9.8 million people reached. To learn more about Instagram video ads, here’s the official ad guidelines and specifications when using videos. 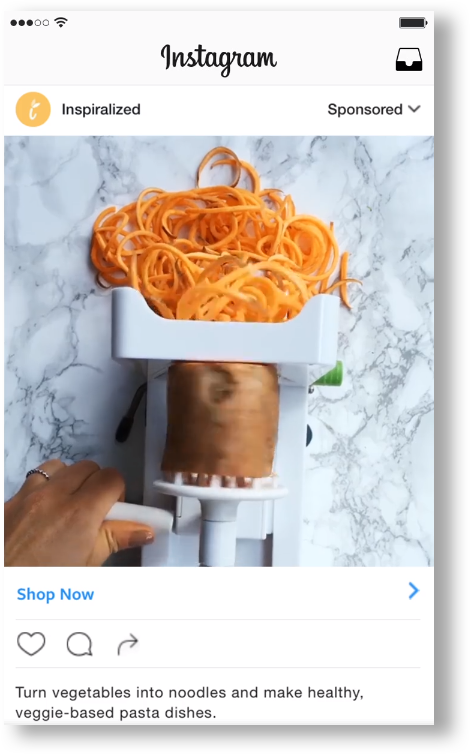 Another Instagram ad format that enables online stores to display longer ads than what a single photo can provide is through carousel ads. With this, you can create an ad with more than 2 scrollable images or videos. 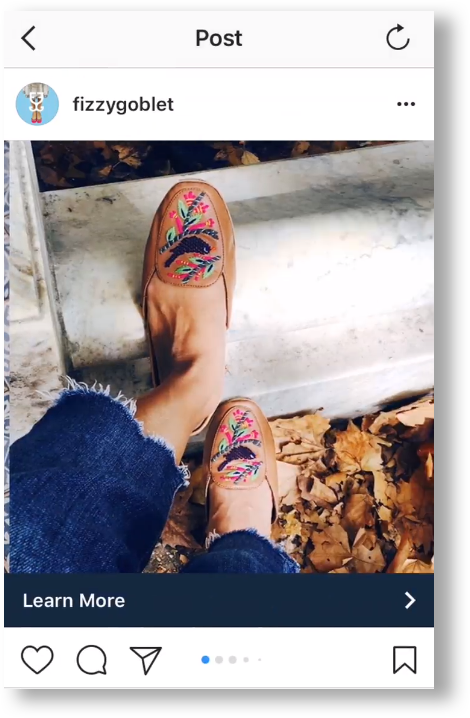 Fizzy Goblet, a footwear company, ran a series of Instagram carousel ads targeting its existing customers and reaching new markets. The Instagram carousel ads showcased their popular products and featured their wide offering of styles. This resulted in an increased sales by 50% and website traffic by 40%. To learn more about Instagram carousel ads, here’s the official ad guidelines and specifications when using carousel. Slideshow ads are a hybrid between video and carousel ads. You can incorporate up to 10 photos that will automatically roll as a video. This is used to cater to any connection speed and as an alternative to videos. 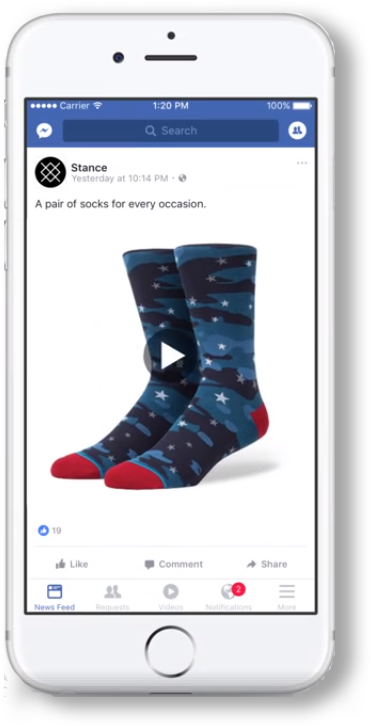 For example, Stance, an American sock and underwear brand, used Slideshow ads to grab the interest of its target audience. Because they don’t have the luxury of time and money to shoot a video or photo, they used their existing still product images to build a slideshow advert. This increased their return on ad spending by 1.48 times. To learn more about Instagram slideshow ads, here’s the official ad guidelines and specifications when using slideshow. Instagram Stories is a fullscreen and immersive experience for viewers. You can run both photo and videos on your Stories ads. 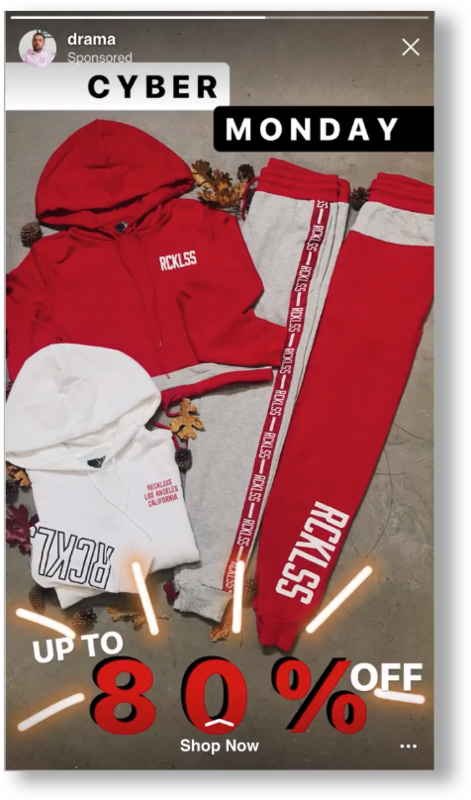 Young and Reckless, a street-inspired lifestyle brand, added animated texts to its still photos to create animated GIFs and then run them as Stories ads. This clever way to advertised helped them to achieve a 6X return on ad spend. To learn more about Instagram Stories ads, here’s the official ad guidelines and specifications when using Stories. Ensure that you have an Instagram account for you to run Instagram ads. If in case you don’t have an Instagram account, you can still advertise on Instagram by using your Facebook Page as the promoter of your Instagram ads. If you don’t have a Facebook Page, learn how to Create a Page in order to run your Instagram ads. Because Facebook owns Instagram, they share the same advertising tool which is called the Ads Manager. 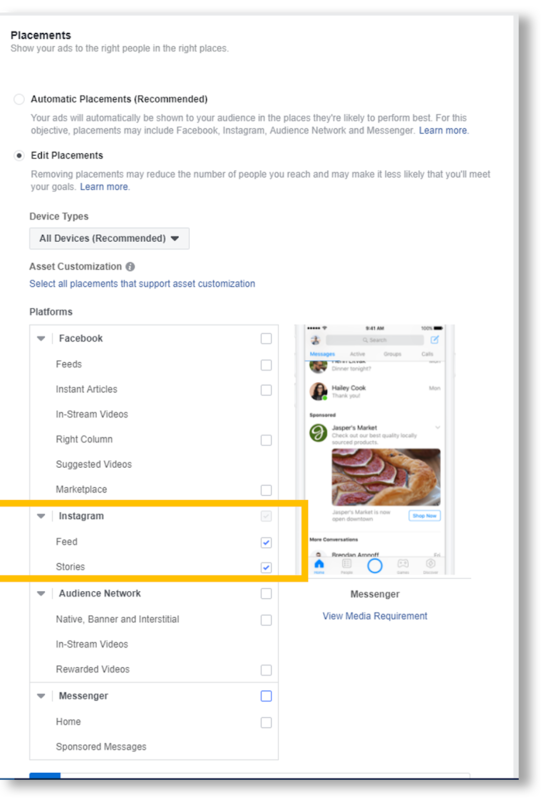 So, if you’re already advertising on Facebook, you won’t have any difficulty in creating ads on Instagram. 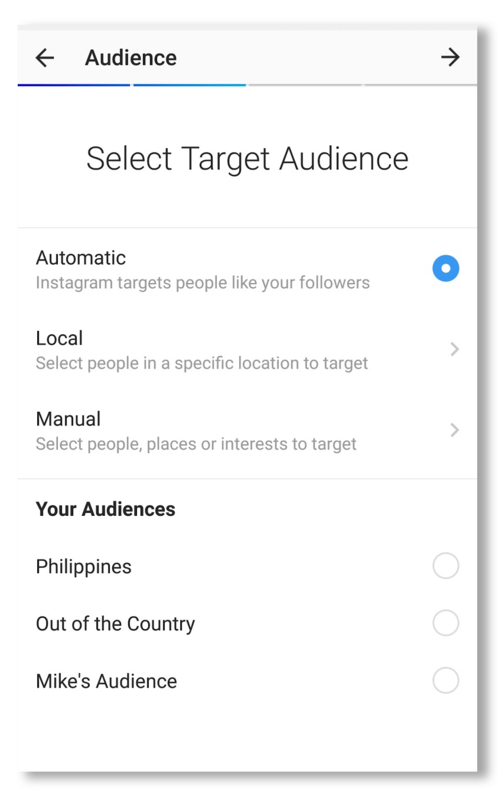 To create an advert on Instagram using the Ads Manager, you need to set up the following steps below. 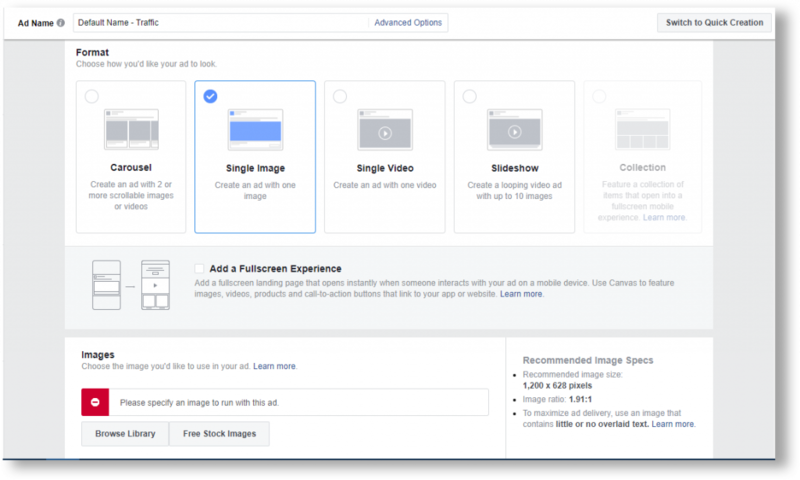 You can also visit this definitive guide to advertising on Facebook because they share the steps when using the Ads Manager tool. You want to use Instagram Advertising because you want to achieve something for your online business. Without a goal, you can’t expect the desired result. This will be your means of validation and measurement once your advertisement runs and ends. Awareness: To help you strengthen the familiarity and demand for your online store or the products or services you sell. Consideration: To drive people to begin assessing your online products or services if they can fulfill their needs and wants. Conversion: To prompt people to buy your products or services or take positive responses for your online store. Brand Awareness: promote the availability and existence of your product, service or brand. Reach: expose your Instagram ad to as many people as possible. Traffic: encourage people to check your website or use your app. Engagement: increase ad’s exposure to a wide audience to increase likes, comments, shares, photo views, offer claims or responses. App Installs: drive people to download your online store’s app. Video Views: display your video to a large audience to raise awareness about your online store or products. Lead Generation: acquire new prospects for your online store by gathering lead information such as email addresses. 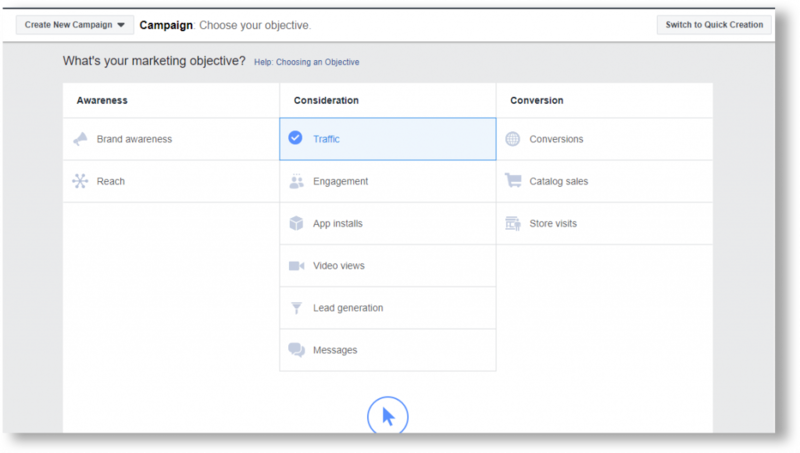 Conversions: get positive actions like website conversion and app engagement. Catalog Sales: link your Instagram ads to your product catalog. Store Visits: encourage people to go to your physical stores. Depending on your chosen campaign objective, your next step is to identify who you want to see your ads. You need to be as specific as possible with your target audience in order for your campaign to be more effective. Blindly targeting a set of audience will achieve nothing but a wasted advertising money. 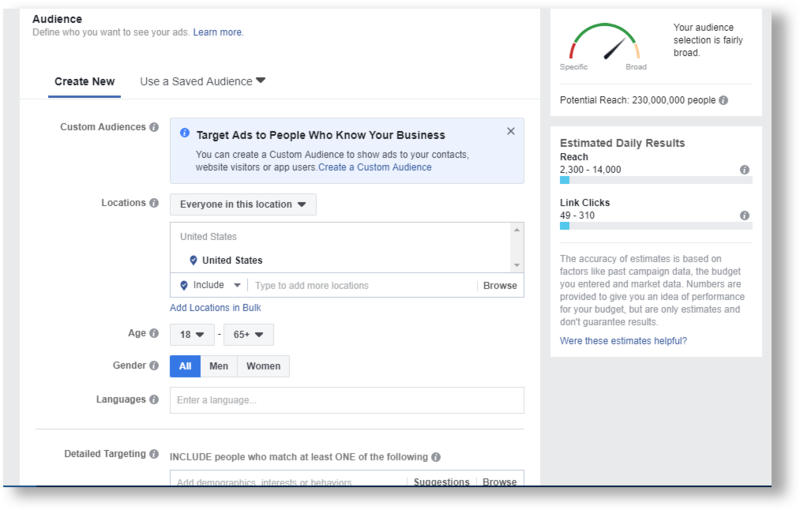 Custom Audience Targeting: create a Custom Audience based on the people who already have interactions with your online store, whether it’s inside or outside of Facebook. Learn more about Custom Audience Targeting. Detailed Targeting: enable flexibility in your targeting by further refining your audience based on demographics, interests, and behaviors. Learn more about Detailed Targeting. Connections Targeting: target people who have a specific kind of connection to your online business. Learn more about Connections Targeting. Lookalike Audience Targeting: target new people who can be potentially interested in your online store based on their similarity to your current customers. Learn more about Lookalike Audience Targeting. 2. Then click the ‘Edit Placements’ button. This will show you a selection of platforms where you can run your ads. Then, leave Instagram checked. You can choose between ‘Feed’ or ‘Stories’ or use both Instagram channels. 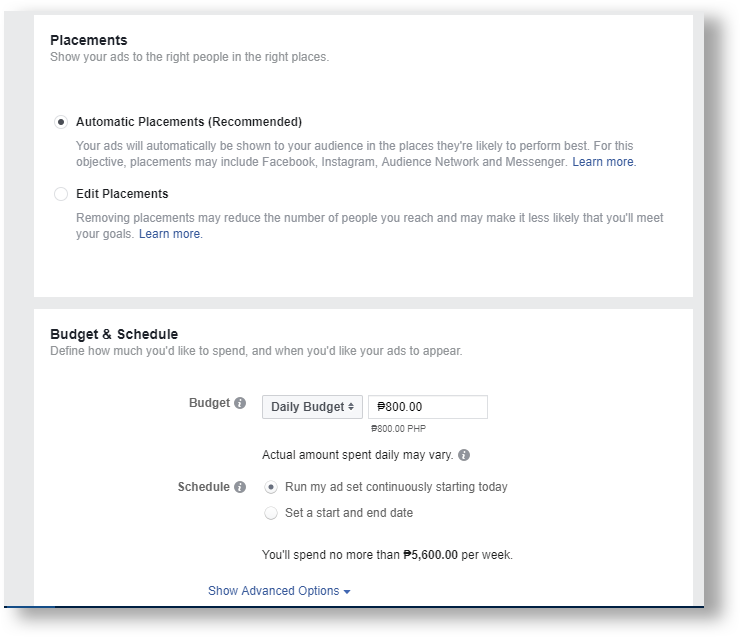 The next part is for you to identify how much you’d like to pay for your ad and when you’d like your ads to run. In this step, you will be asked to set your budget, either daily or lifetime, and whether you will run your ad as early as today continuously or set a specific start and end date. It is recommended to begin at the lowest budget possible. This will enable you to test and analyze your Instagram ad. Based on the results, you can tweak your future Instagram ads to achieve better performance. Earlier in this guide, we’ve tackled the different types of Instagram ads that you can run. When designing your ad you are asked to choose one of these Instagram formats. On Instagram, the ‘Collection’ selection is disabled. At this portion, you are also required to input the copy to accompany your visuals. Your images or videos must be coupled with the right copy to drive your audience to take an action. You can also run a simple promotion directly within the Instagram app. However, the options will not be as varied and extensive, unlike the Ads Manager. 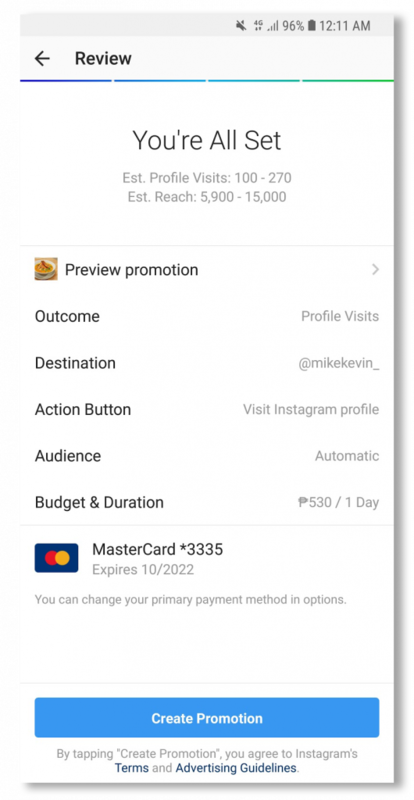 To run an Instagram ad using your app, simply click on ‘Promote’ button on your app’s profile interface. You will be prompted to choose from one of the posts you have already shared on your Instagram account. From there you can select the outcome of your promotion. The next step is for you to define who will be reached by your Instagram ad. Automatic: Instagram will decide who will be targeted by your ad, such as your existing followers. Local: target an audience by how near they are from your business location, and then by age range and gender. Manual: target audience by specific locations, such as cities and towns, then by interests, such as hobbies and affiliations, and lastly by age and gender. 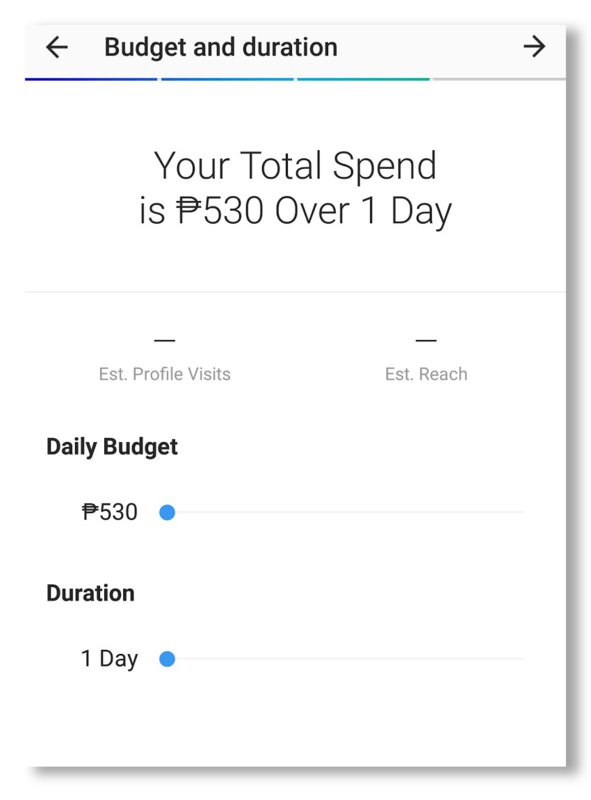 Then, you can now determine how much you can spend on a daily basis and how long you want to run the ad. The longer the ad will run, the higher the spend will be. You are then asked to choose how you will pay for the ad. Lastly, you are prompted to review your Instagram ad. After that, you are all ready to set! Instagram is highly visual compared to the other social media platforms. If you want to stand out, you need to grab the attention of your viewers in any way you can. Boomerang: video app for making short, action-packed video loops. Hyperlapse: capture high-quality time lapse videos even while in motion. Layout: create a collage by combining, flipping or mirroring multiple photos into a single image. A perfect example is how the healthy-eating brand, Inspiralized, utilized Boomerang to create video ads to help them drive more sales for Mothers’ Day. The uniqueness of the ad increased their audience reach by 14 times. It is pertinent that you evaluate the performance of your ad. As much as possible, if you’re starting to have a fully blown Instagram advertising campaign, you have to create a series of tests first in order to determine which things are working for and against you. 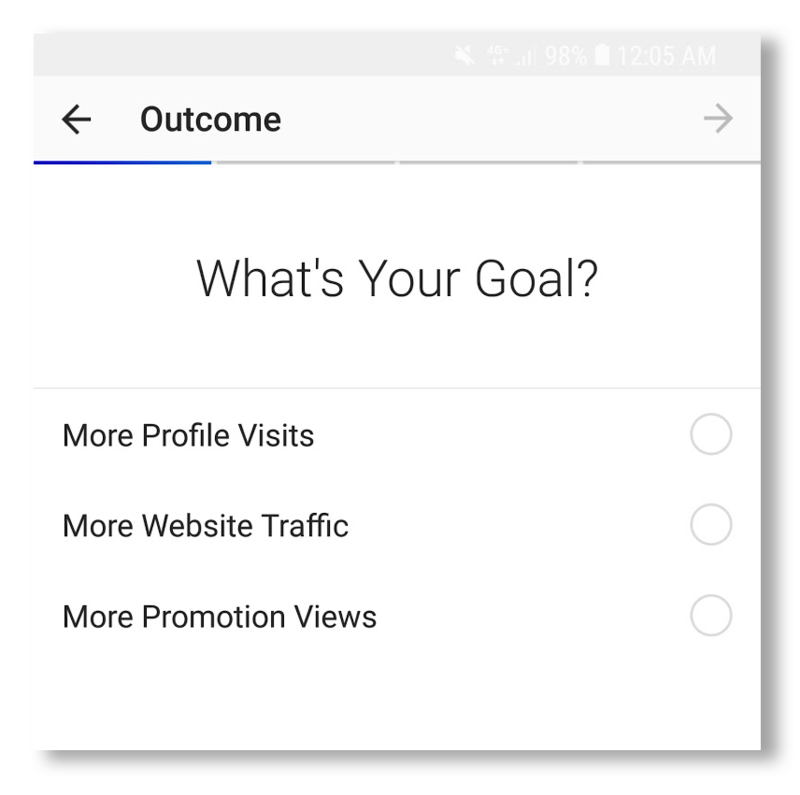 You can easily measure the ad results using the built-in analytics from the Ads Manager or within the Instagram app itself. Here’s a guide on how to measure your Instagram ads. 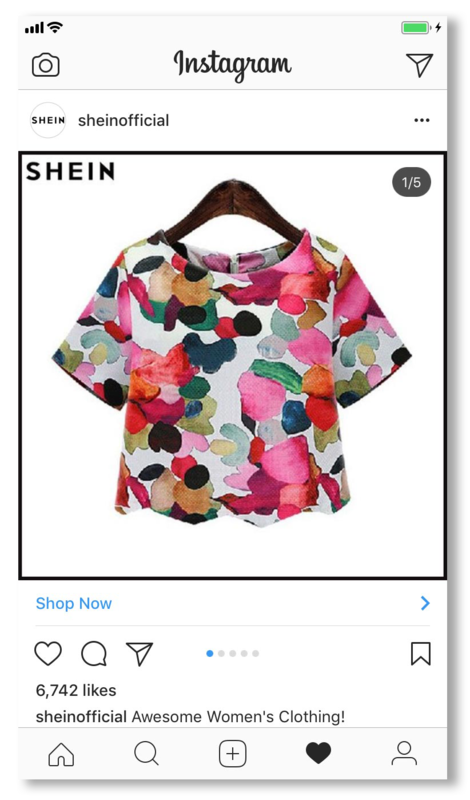 A success story is how SheIn performed Instagram ad trials to determine which is the most cost-effective way to advertise on Instagram. The test used a conversion lift study using 3 different sets of ads for 7 weeks. The test allowed them to gain 45% more cost-effective per incremental conversion. Instagram is known for innovation and bold decisions in its features and capabilities. As online store advertises, your brand should embrace the new trends that the app will offer. This will help you reach more audience and most importantly communicate with their language. For example, hashtags (#foodporn, #ootd, #throwbackthursday) have always been a staple on Instagram. 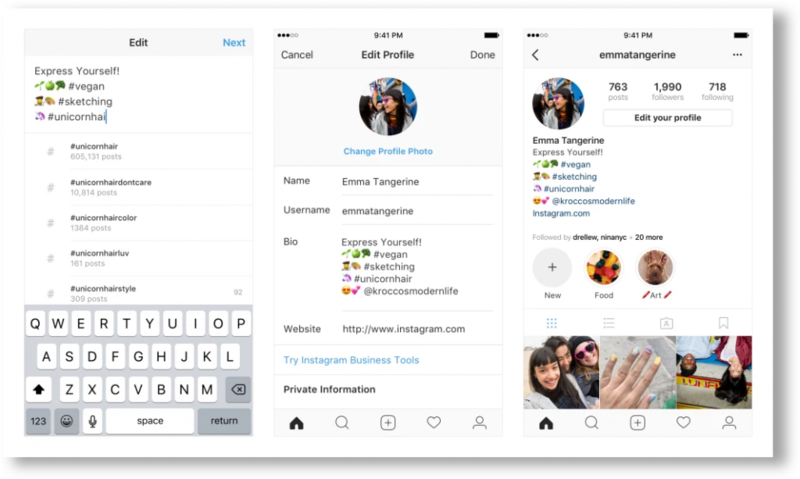 However, just recently Instagram updated a feature where users can now follow hashtags just like how you follow an account. Hashtags are also used by Instagram in its algorithm to feature posts on the ‘Explore’ tab. With this new feature, online stores and brands have the opportunity to get discovered on Instagram. The best practice is to use hashtags that matter to your brand. Don’t use hashtags because they are popular, use the once that match your brand and your products. Learn more about hashtags. There’s also this new Instagram Advertising feature where you can link hashtags in your bio. People come to Instagram Advertising because of its visual narrative. They can find stories and connect with different people and even with their favorite brands with easy to digest contents. This is why more and more online stores jump into Instagram to easily connect with their target audience. Advertising on Instagram is just one of the many innovative ways to continue a two-way dialogue with your existing customers and potentially engage with new audiences. This beginner’s guide to advertising on Instagram will help you reach new heights for your online store.